The iPhone can become a simple tool to help manage our expenses and income and keep track of our money in these times of crisis. AMoney is an application, available in several languages, that just helps us in this mission. aMoney has a simple design and is intuitive and fast. aMoney is a custom app to our needs. In just a few simple steps can make all kinds of information about our movements and divide them into categories. 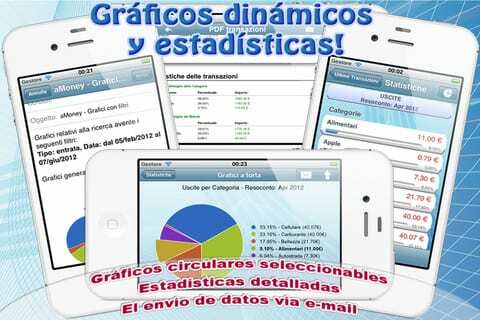 From this information quickly get statistics and graphs and can export to PDF. In addition, the application has an internal search engine to locate all kinds of movements that have previously inserted. aMoney is available in the App Store for 1.59 euros. Article Track your expenses and income with aMoney was originally published in News iPhone .